* Help right-brain learners (Dyslexics) understand their thinking and the learning differences from left brain thinkers (big picture and concrete images versus abstracts such numbers, letters and words). They will understand they can be taught how to use their processing style to their advantage for success in school. * Help Dyslexic students discover their personal learning style (auditory, visual or kinesthetic) and teach them how to use their strongest sense to process information and perform new skills with greater understanding. * These students think in wholes: spelling whole words, thinking in whole words, whole chapters and stories, whole lessons, whole assignments and whole concepts. Their school work should reflect this focus on wholes. Breaking a word into individual letters and sounds is not the best way for these students to learn how to spell them. *Skills or information taught with steps over a series of days, without a preliminary overview or “Big Picture”, can be very difficult for Dyslexic students to follow and comprehend. The constant memory loss of information covered over several days is one way a Dyslexic can be labelled as having “short term memory loss”. An example is teaching the process of long division using brackets, often taught in steps over a number of days. Without an overview explanation of what long division is or what it is used for the sequence or set of steps of a long division problem becomes very abstract. The average student is taught to follow them and they will have a correct answer. A Dyslexic student needs to understand what is happening in these steps and why the answer is right otherwise they won’t understand why they need to do long division. Dyslexics and right-brained thinkers need to see the whole process and its meaning at the beginning of the lessons. * Try to complete a lesson at one sitting. An incomplete lesson is entirely lost on them. If this is not possible, then provide a written summary, extra time during the same day to answer the student´s questions or find ways to teach the complete lesson in one sitting, or give them the start and ending first and then fill in the middle. * Dyslexic students can be identified as early as 6 years of age. Their struggles with school work are noticeable when compared to the rest of the class along with their above average intelligence. It is very important to identify them early. If this is delayed and they are being taught with methodologies that work well with left-brain learners they can lose a lot of ground, get behind in class and have difficulty catching up. * Studies have shown that Dyslexics tend to be above average to genius level in intelligence. It is not uncommon for gifted children to have Dyslexic issues. Often this can make it difficult to identify them and they can be regarded as “lazy and not living up to their potential”. * These students think and reason starting with a fact or conclusion and analyze the parts that prove or disprove the conclusion. They need to see the “forest before the trees” with everything they are learning and processing. Just as many essays are based on analyzing a stated conclusion. *Do not give them open-ended questions that involve abstract or incomplete instructions. *Do not base the student´s marks on spelling, punctuation or grammatical errors. Errors in assignments should be corrected for them. Spelling, punctuation and grammar are very abstract concepts for them that the right brain does not easily process and cannot visualize them as concrete images. If these errors must be corrected before a student hands in an assignment then permit someone else to edit the mistakes in spelling, grammar and punctuation. Parents are often helpful in this. * Look for ideas, not clerical errors. Getting ideas down on paper is much more important than fretting over spelling, grammar and punctuation. If they do not achieve what they are capable of they soon become depressed and give up. Using recording devices to get their ideas down are a great tool. * Their ability to use the correct grammar, punctuation and spelling forms may or may not improve with age, depending on the their ability to understand these concepts and the type of teaching methods the Dyslexic student receives. * They ask a lot of questions and they need them answered. Without these answers they can be paralyzed in the classroom and can’t proceed with their school work. Answer the student´s questions as often as possible, but keep your answers very short, clear and specific. Be precise. Do not repeat your answers unless the student asks you to do so. Then answer only what the student asks. Long explanations, different approaches, wordy definitions, or abstract thinking are all very tiring and difficult for these students who are looking for a concrete answer. * Do not criticize your students for not paying attention or being lazy. If they look like they are daydreaming, they may be learning by listening or they can no longer understand the lesson and are trying to cope with the situation. They are actually working hard to understand what you are saying. Sometimes the student has already solved the problem and is thinking about other solutions or aspects of the problem. * Instead of long, written assignments, turn these tasks into projects that involve all the senses. These could be done on any large piece of coloured paper they could add real objects, pictures, drawing, sketches, photos, words of explanation and an oral report. The Dyslexic student learns best doing projects that involve seeing, listening, discussing and using their hands. * Encourage these students to expand and use their natural right-brain traits and talents such as: artistic abilities in different mediums, researching topics for projects. Some are proficient and exceptional at arithmetic and mathematics and yet other Dyslexics can have great difficulty with arithmetic and math. Most Dyslexic individuals show good leadership abilities, problem solving skills, have wonderful imagination and terrific story-telling skills. Many have natural mechanical abilities, are talented athletes, possess photographic memories and show a strong logical sensibility. They can be assessed to discover their natural talents, interests and hobbies. * Teach the students how to put individual parts in a sequential order. The right-brained student needs to be trained in sequencing skills by using concrete materials and visual procedures such as the order of letters in words. This can be accomplished by using mind maps to show them how to find the parts and their order in the “big picture”. Eg: The seasons of the year could be printed in big simple letters on a large cardboard sheet with pictures of what the weather is like during those seasons, special holidays and day-to-day life such as school and summer activities. 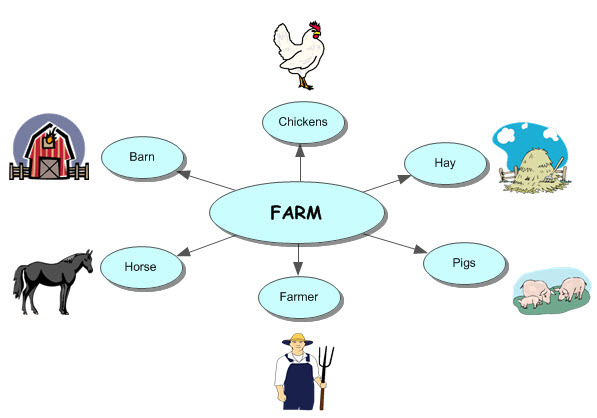 The mind map concept can be taken further and add the months of the year that fall in each season. This type of visual can help a Dyslexic anchor what “seasons of the year” means, what order they come in and how they are spelled. Many teenage Dyslexic students we assess still don’t know the seasons or months of the year let alone their order. * Writing notes from the board can be very difficult so placing a Dyslexic child close to the front of the classroom or giving them notes pre-printed can be very helpful. * Many Dyslexics need to read the beginning, then the end, and then the middle of chapter stories and best followed up with a movie of the book. Presenting the end of the story after the beginning gives the Dyslexic the “big picture” and their comprehension of the story increases. Some Dyslexics do not like this approach and prefer beginning, middle and end. * Arithmetic, math, the concept of time, money, clock faces and measurement are very abstract and difficult ideas for Dyslexics but if concrete images and physical demonstrations are used to explain them they will catch on quickly. They should not be discouraged to count with their fingers or use other aids such as an abacus. The Dyslexic student may never be able to work arithmetic or math problems without these aids. These students also do better with drawing out a word problem rather than trying to work the details of the math equation from the text of the problem. * They will always want to know the schedule for the day and will point it out if it changes. * They can become obsessed about one subject so if this can be used in any school work at all it will help them learn the new skill sets. We had one boy we assessed who loved volcanoes. He could tell you all about them and spell difficult words like; magma, mantle, eruption. But he could not spell; then, would, other, into. * Some Dyslexic children who are displaying ADHD behaviours are possibly suffering from frustration, confusion and fear. They don’t understand what is going on in the class, they want to desperately and they are humiliated by their peers. Their inability to sit still and focus can be due to exasperation. More than one mother has told me her child was suicidal and they have been as young as third grade. We are not saying a child does not have ADHD, we are suggesting medical testing should be done along with examining the school background and emotional state of the child for other factors. * And speaking of being wiggly and talking out in class; Dyslexic children tend to be very connected to experiencing the world through their senses and don’t sit well to focus quietly on their schoolwork. They want to feel it, see it, touch it, smell it and hear everything. They experience life in the present – the past and the future belongs to the left brain. If you can integrate movement and other sensory experiences consistently into the classroom they will be avid learners. Sitting, listening and writing for long periods of time can be almost impossible for them. More schools are starting to introduce accommodations in the classroom such as chewing gum, squeeze balls, plastic straws to tap instead of pencils and getting up and moving often. * If you have a Dyslexic class clown try letting them have 5 minutes of stand-up comedy if they agree not to disturb the class for the rest of the day. This was the answer for my Dyslexic son in grade four who came up with the idea. I ran into his teacher a few years later and she said she still used this with other class clowns. Dyslexics are often very quick mentally and verbally and will use humour to deflect attention away from their learning problems and negative attention from their fellow class mates (Jim Carrey, Robin Williams, Jay Leno, Whoopi Goldberg to name a few). * Dyslexics need a reason for everything. If you want them to stop a certain behaviour, don’t just say “no” or “stop”. Tell them why it is inappropriate. They respond well to a logical explanation. * Many Dyslexics have a terrible time with being on time and completion dates. They live in the present and do not comprehend a schedule easily. Team up with their parents to work out a schedule for their schoolwork. They could have a white board at home with homework dates that the parent could help them remember. They respond well to colour. Give them an agenda done in colours. Red could mean hand in “tomorrow”, blue could be the “end of the week”. This could be written on their white board at home. The colours could be updated daily on their calendar for consideration of their home work due dates. The other side of the spectrum are Dyslexics who are obsessed about schedules. This is what we have found to be typical, nothing in the middle. Either they can be on time and sometimes obsessively or not at all. We have found working with a Dyslexic student on schedules can help them build a lifelong skill. * These students are reality based because they think in whole concrete images they can see, hear, touch, smell and taste. All abstract materials should be related to something they can see, feel, touch, hear or smell. We have parents tell us that the teachers their children had that were focused on multi-sensory teaching methods, lots of movement and projects were usually their Dyslexic child’s most successful and happy years. * Dyslexics have great difficulty with letters and phonemes without the presence of the whole image of the word and an image or picture that relates to the word when learning to copy and memorize words. Most Dyslexics have difficulty understanding what letters are individually. C – A – T are three sounds that don’t mean anything when sounded out separately. “CAT” however brings up the image of a cat. * Help these students understand how to ask for guidance to verify the direction of instructions. Dyslexics are spacial thinkers and very aware of the concept of three dimensionality. Mentally they can be anywhere in the world in their minds at any time – this creates directionality problems. For example they have difficulty understanding right and left or tying their shoes. 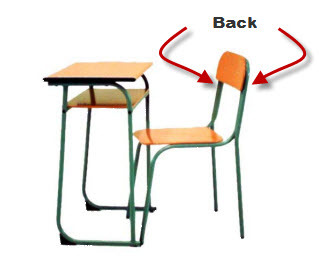 An illustration would be to ask them to point to the “back of a chair”. They will wonder if you mean the back of the chair where they lean their backs on or the “back” behind the chair. This problem occurs for them with many instructions they receive during the day in a classroom. * Try to assist them in focusing ideas and organizing a large body of work. Know they need special training in writing procedures and gathering tools such as note-taking, note making, outlining, clustering or mind map information, using pictures, diagrams, drawings and composition procedures. * Recognize their abilities to think emotionally, intuitively, creatively and “big picture” and incorporate into class work. * Be sympathetic with their fears of being ridiculed when reading out loud, oral discussion and being able to follow written directions. 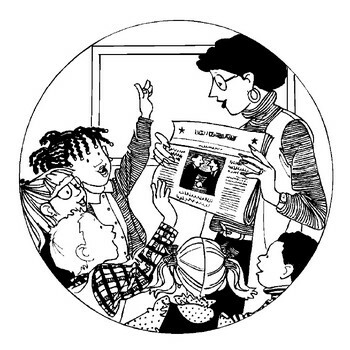 One way to help with reading out loud is to give them a passage to practice reading at home and then reading it aloud in the classroom when they are comfortable. * Recognize they may excel in oral discussions and group projects. * Recognize they may be a good organizer and excel in leadership skills if they are not suffering from a loss of self-esteem. * Dyslexics should be allowed and encouraged to use laptop computers in the classroom. Printing or writing is usually agonizing for a Dyslexic student. They generally have Dysgraphia to some degree so writing can affect their comprehension, their ability to write notes from the board, and complete an exercise or test on time. Another option is using a scribe (a teaching assistant who writes a student’s words or answers down for them in the classroom). * Dyslexic students should be allowed to use assistive technologies such as computer programs like Dragon Naturally Speaking, Kurzweil, TextHelp Inspirations. * Dyslexics should be given more time to complete class work and tests or do them orally. The purpose of their completed schoolwork is to be sure they understand it and having to write their answers can effect their ability to convey their knowledge of the subject. Written formats can make it impossible for them to print their thoughts and answers adequately when they are usually very articulate speakers. Recording machines can also help with getting their ideas and answers saved and then typed or hand written. * Dyslexia changes from a Learning Difference to a Learning Disability when a child cannot learn in school due to inappropriate teaching methods and having become frustrated, exhausted, humiliated and despondent. When a child loses their self-esteem and begins to believe they are “stupid” they are filled with “self-limiting beliefs”. They shut down and can no longer learn many new skills in school in a normal and timely manner – if it all. 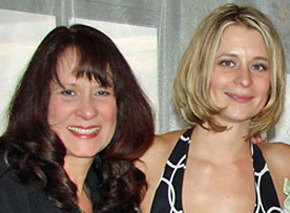 Karey and her daughter, Gen VanBebber. Gen was assessed for Dyslexia in Grade Two back in the 1980’s which started the two on their journey to understand Dyslexia. Gen has overcome all of her issues and is a successful business woman and mother of three children. 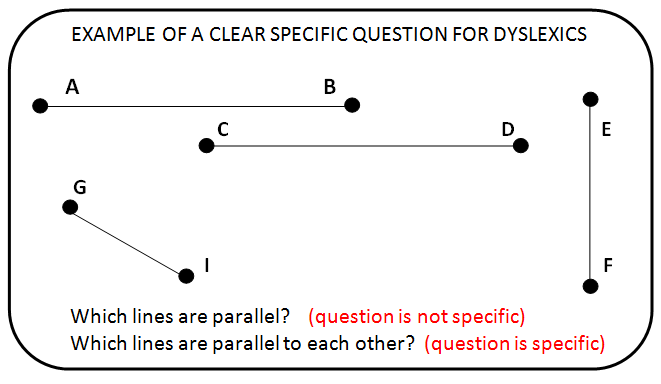 This entry was posted in ADD/ADHD, Being Right-brained, Blogroll, Dyslexia, Dyslexics Reading, Education, Special Education, Uncategorized and tagged Dyslexic children having problems learning to measure, Education, how dyslexics learn, how to tutor dyslexics, problems for dyslexics learning to spell, Special Education, Teachers and Dyslexics, teaching dyslexics. Bookmark the permalink.